It twists, it turns, it dead-ends, it’s six green acres of good old-fashioned family fun! 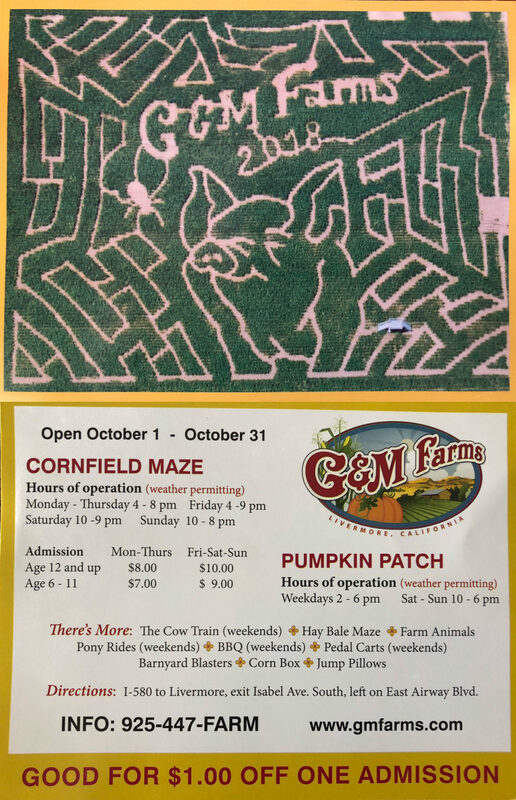 G&M Farms Cornfield Maze and Pumpkin Patch was voted Best Seasonal Attraction in the East Bay by Diablo Magazine, and when you see it, you’ll believe it! Download your discount coupon HERE.